Fill out the form below to submit your resume. All fields are required. We take pride in what we do and are committed to the people we employ, as they are our greatest asset." 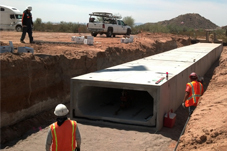 Olson Precast of Arizona, Inc.